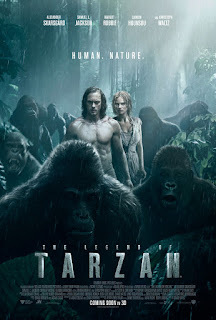 This exciting new TV Spot shows Tarzan (Alexander Skarsgård) preparing to do battle with his former brother, a gorilla named Akut and the 360º Experience (Scroll Down) shows the jungle like you've never seen it before. 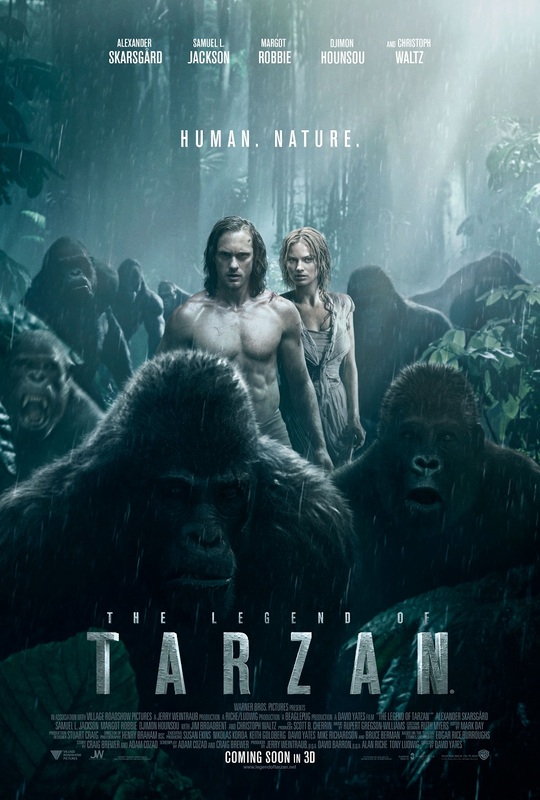 Featuring an all star cast of Alexander Skarsgård, Margot Robbie, Christoph Waltz, Samuel L. Jackson, John Hurt and Djimon Hounsou, and directed by David Yates (Harry Potter and the Deathly Hallows: Part 1 & Part 2), THE LEGEND OF TARZAN will be released in cinemas on 6th July 2016. From Warner Bros. Pictures and Village Roadshow Pictures comes the action adventure “The Legend of Tarzan,” starring Alexander Skarsgård (HBO’s “True Blood”) as the legendary character created by Edgar Rice Burroughs. The film also stars Oscar nominee Samuel L. Jackson (“Pulp Fiction,” the “Captain America” films), Margot Robbie (“The Wolf of Wall Street,” “Whiskey Tango Foxtrot”), Oscar nominee Djimon Hounsou (“Blood Diamond,” “Gladiator”), with Oscar winner Jim Broadbent (“Iris”), and two-time Oscar winner Christoph Waltz (“Inglourious Basterds,” “Django Unchained”).